… It's a great idea, and the kind of study the Subcommittee on Intelligence, Information Sharing and Terrorism Risk Assessment should undertake. Looking at the witness list, however, shows that the committee is seeking input from a narrow viewpoint – one that is sympathetic to Islamist extremist organizations here in America. Like any religious and ethnic group, American Muslims hold a wide range of viewpoints about their faith, the role it should play in secular society, and ways to strike a comfortable balance. Nearly all the witnesses share a history of interaction with national Islamist groups – those that seek to infuse a religious ideology into the political debate – while contrary points of view are not given a seat at the table. Even the law enforcement and research oriented witnesses have a history of working closely with groups like the Council on American-Islamic Relations (CAIR) and the Islamic Society of North America, each of which have ties to the Muslim Brotherhood. A diversity of voices is not difficult to find. A Saudi dissident group is organizing its own panel discussion on extremism March 25. Journalist Irshad Manji, a director of the Moral Courage Project at New York University, has triggered a global, online conversation of reform among young Muslims through her book, The Trouble With Islam Today and on her website. Two Muslim voices with contrasting ideas from the hearing witnesses had varied reactions to the hearing. 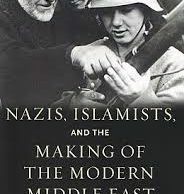 Hudson Institute scholar Zeyno Baran, editor of a new book featuring 10 articles by moderate Muslims, saw the hearing as an attempt to show the public the government is doing something to address terrorism and radicalization, even if it does so with a limited perspective. For emerging Muslim voices, there is a "chicken and egg problem," she said. "When the government works with organizations like CAIR, it has the effect of strengthening them at the expense of non-Islamists. But unless more non-Islamist Muslims come forward, officials will feel they have to talk to someone in the Muslim community – even if they represent organizations with questionable backgrounds." Zuhdi Jasser, founder of the American Islamic Forum for Democracy, was more critical, especially of the two Muslim witnesses slated to appear. Neither addresses the challenges posed by Islamism, or political Islam, which envisions a greater influence of religious law over society. The witness list is set, however, so committee members would do well to offer some probing questions. Do they believe U.S. policy at home and abroad is hostile toward Muslims? Do they believe U.S. laws banning contributions to charities controlled by terrorist groups are unjust? How do the panelists define extremism? Is it a desire to wage violence in response to any perceived grievance or solely those who seek to harm the United States? Or, is it something else entirely? The committee should determine its own definition and ask the witnesses for theirs. 1. Mohamed Elibiary co-founded the Texas-based Freedom and Justice Foundation and enjoys a growing national reputation as a Muslim voice against radicalization. CNN featured him in December for a story on "deradicalizers." He likened the allure of radicalism among American Muslim teens to "at-risk gangbangers, who want to stand up for their community, to address grievances of the global Muslim community more effectively than they've seen the elder generation." Elibiary "is able to make himself seem moderate by talking about reform, Jasser said. "He does not acknowledge that theological Islam is incompatible with Western society." 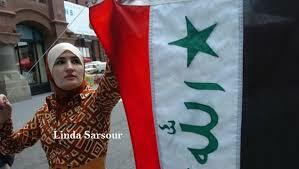 As an example, Elibiary has defended the Islamist ideologue credited with inspiring the Muslim Brotherhood and terrorist groups including Al Qaeda. He recommends the writing of Sayyid Qutb as offering "the potential for a strong spiritual rebirth that's truly ecumenical allowing all faiths practiced in America to enrich us and motivate us to serve God better by serving our fellow man more." "Anybody who knows the slightest thing about Qutb knows that this [Elibiary's view] is crackpot," said Rod Dreher, a former Dallas Morning News columnist who had several online debates with Elibiary. The 9/11 Commission wrote that "no middle ground exists in what Qutb conceived as a struggle between God and Satan. All Muslims – as he defined them – therefore must take up arms in this fight. 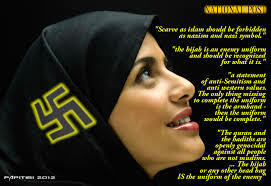 Any Muslim who rejects his ideas is just one more nonbeliever worthy of destruction." In addition, Elibiary criticized the indictment and subsequent conviction of the Holy Land Foundation and five former officials for illegally routing millions of dollars to Hamas. The case showed that American Muslims have been subjected to unfair scrutiny, he said. In a column for the Dallas Morning News, he cast the verdict as the latest in a series of losses in America's fight against terror. 2. Witness Omar Alomari is the Ohio Department of Public Safety's Department of Homeland Security multicultural relations officer. Since taking the job in 2006, he wrote a 40-page Culture Guide related to Arabic and Islamic Culture. In this document, Alomari defined jihad as the benign pursuit of personal betterment. It may be applied to physical conflict for Muslims, but only in the arena of Muslims defending themselves when attacked or when attempting to overthrow oppression and occupation. Jihad as a holy war is a European invention, spread in the West, he wrote. Alomari also authored a two-page brochure called "Agents of Radicalization" for the Ohio Department of Homeland Security. In it, he lists several grievances driving terrorism in the Muslim world, including Israel's occupation and oppression of the Palestinians, U.S. support for Israel, the U.S. invasion and occupation of Muslim lands and support for repressive regimes. Alomari goes on to explain that such terrorism also stems from the expected societal reaction of the once proud and thriving Arab/Muslim culture, now in decline and conflict because of the stronger and aggressive West. Jasser describes the two publications as "full of factual inaccuracies" including the assertion that 66 percent of American Arabs are Muslim (close to three-fourths are Christian). Alomari also "misses the core problem: political Islam." Instead, he indulges in "bizarre revisionist history" which "seeks to portray Muslims as victims." The United States is engaged in "a war of ideas" with radical Islam. Regarding jihadists, "you would hope that [Alomari] would say that these are corrupt thugs who have hijacked our faith," Jasser told the Investigative Project on Terrorism. But instead he "describes [terrorism] as a response to what the West has done." The material Alomari's agency is putting out is "classic Islamist propaganda" which suggests that "these thugs who kill people in restaurants and shopping malls will stop if we solve the Arab-Israeli conflict," Jasser said. "In fact, they'll find another grievance in a year or two." Alomari acknowledges that some Muslim communities do, in fact, provide support for the radical jihadists, who he labels "the opposition." He also describes Islam as a "politicized religion" in terms of terrorism and how "it's easier for extremists in Islam to convince youngsters to join in their extremist organizations." 3. Los Angeles County Sheriff Lee Baca has almost become a fixture at events sponsored by MPAC and CAIR. In November, for example, he spoke at a fundraiser which helped raise $432,000 for CAIR's Los Angeles chapter. The Los Angeles County Sheriff's Department website's "Muslim Community Affairs" page features a link urging, "Read 500 Most Influential Muslims." It connects readers to a book by John Esposito, an apologist for CAIR and the Muslim Brotherhood, and Professor Ibrahim Kalim, an advisor to Turkish Prime Minister Recep Tayyip Erdogan. The book includes remarkably positive portraits of Hamas leader Khaled Meshaal, Hizballah leader Hassan Nasrallah, and Ayatollah Khamenei, the Iranian supreme leader. Although Baca voiced support for Israel during Operation Cast Lead, the military campaign against the Hamas terror network in Gaza that ended in January 2009, he has not distanced himself from CAIR, which has roots in a Hamas-support network and which faces a criminal probe today. 4. Northeastern University School of Law Professor Deborah Ramirez. She has long focused her research in the area of racial profiling. In 2003, she received funding from the Soros Foundation to write, The Partnering for Prevention and Community Safety Initiative, Promising Practice Guide ("PfP"), "for developing partnerships between the Arab, Muslim and Sikh communities and law enforcement…"
Under the program proposed by Ramirez and her co-authors, the partnerships will be used to advance the interests of those who have openly declared they do not believe there is a national security threat that warrants a war on terrorism and its underlying ideology. The groups that are identified as the optimal community representatives – CAIR, MPAC, ISNA et al. — are either Muslim Brotherhood groups themselves, or groups that subscribe to the same extremist ideology spread by the Brotherhood. They are the groups most responsible for increasing the rhetoric to create fear and mistrust within Muslim communities in the West. With each arrest, prosecution, deportation and guilty verdict since 9-11, these groups have publicly criticized nearly every action by law enforcement, rather than endorse these actions as legitimate and necessary, or at the very least, urge calm and ask individuals to pass judgment after the judicial process has been completed. Further, in seeking to legitimize and empower these Islamist groups, the Ramirez program may be unwittingly assisting the radicalization process itself. According to Canadian intelligence services, "[t]he most important factor for radicalization is the perception that Islam is under attack from the West." The groups touted in Ramirez's studies continue to reinforce Islamist conspiratorial paranoia that Muslims have been selectively and falsely targeted for terrorist prosecution. "Counter-terrorism and counter-violence should be defined by us. We should define how an effective counter-terrorism policy should be pursued in this country. So, number one, we reject any efforts, notions, suggestion that Muslims should start spying on one another. In fact if you look at the Lodi case, the disaster of Lodi is that Muslims were reporting each other to the authorities saying, 'Oh, this person is an extremist' and the other camp saying the same things so both of them got in trouble. So, this is the model not to follow." Ideas from Ramirez, Elibiary and the other panelists should get a fair hearing. But if the committee wants to do more than simply say it addressed the problem – if it wants a real debate on what extremism is and how to combat it – it should open the floor to the diverse viewpoints that need only the chance to be heard.